To promote and sustain interest in the history of Delaware County, Ohio, through historic preservation and education. Sustainability Campaign – Your Gift Sustains Us! 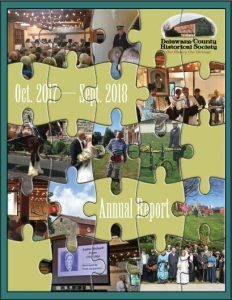 You may obtain a copy of the latest Annual Report at the Society’s offices or you may download it by clicking on the cover image.